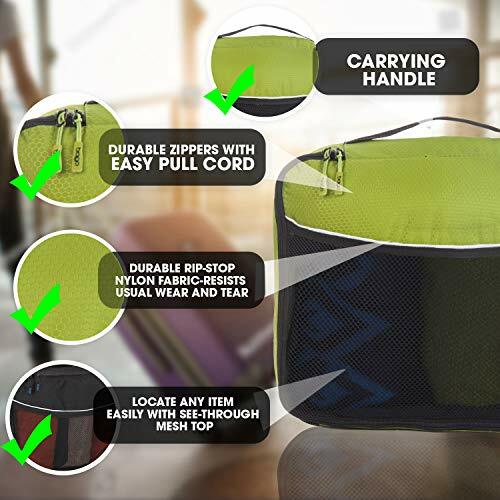 PACK YOUR CLOTHES AND ACCESSORIES FOR FAST ACCESS and keep everything well organized in a suitcase or carryon! Pack according to travel destinations, weather or vacation events. 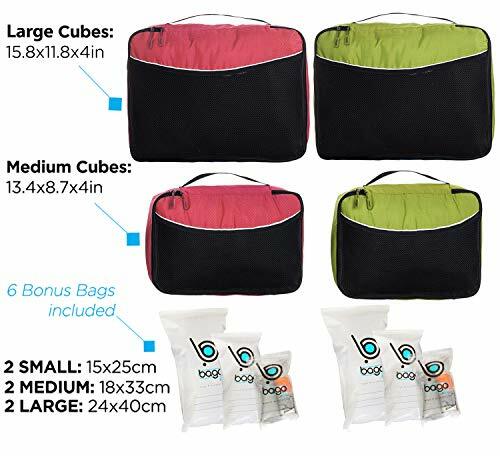 Share a large bag with family members, each with his/her own color of ultralight cubes. The perfect suitcase organizer. 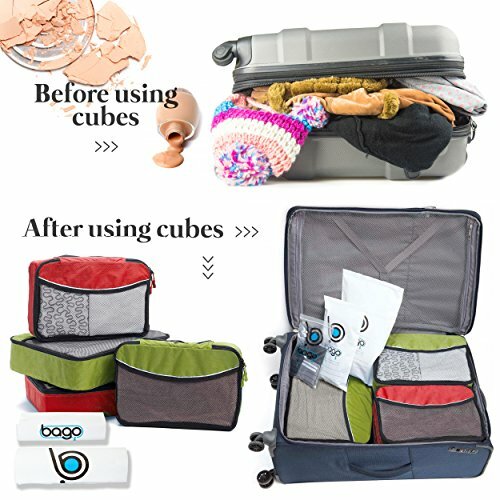 Save Time And Stress Finding Your Items And Packing Your Luggage Especially When You Have A Plane To Catch, The Packing Cubes Help You Get Done In A Jiffy With Different Color Cubes And A See Through Mesh Top. 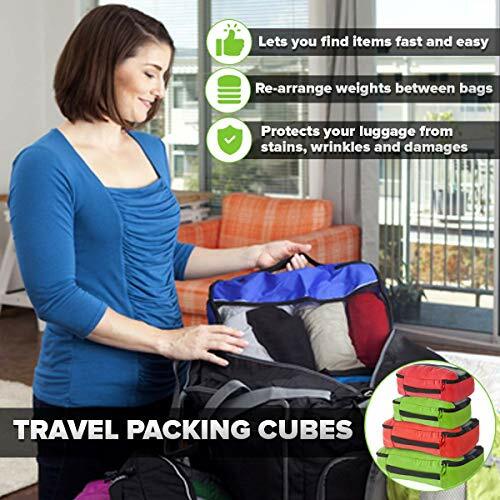 Use Travel Cubes For Packing Efficiently And To Save Hassle When Packing Bags For Travel. KEEP YOUR HOTEL ROOM TIDY AND SPACIOUS - place the travel packing cubes inside the closet or drawers and avoid clutter; Don't live from your luggage - put it away until checkout and enjoy more room space! You'll find your traveling accessories and vacation accessories faster and prevent losing them. 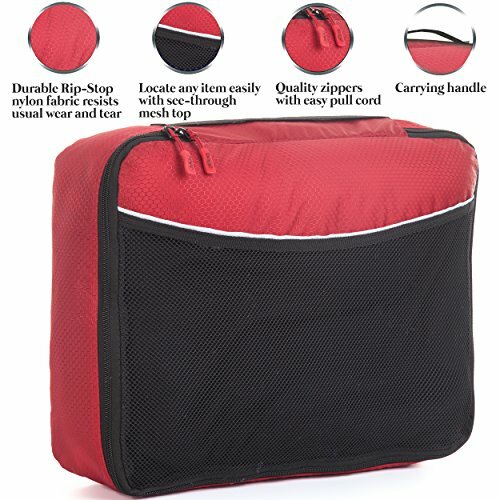 PROTECT YOUR CLOTHES AND LUGGAGE from stains, wrinkles and damages while traveling; the cubes are made of durable rip-stop honeycomb Nylon fabrics that protects your clothes and garment selections safely inside. 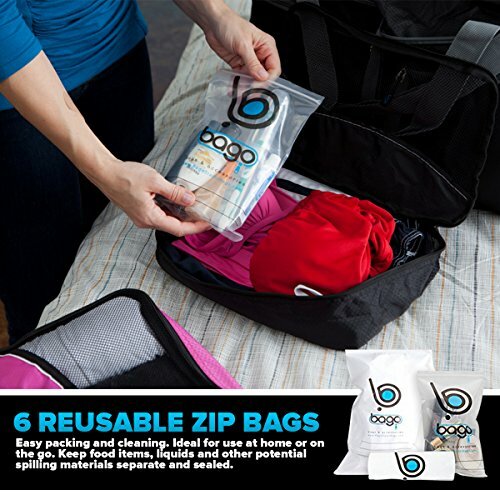 The extra plastic luggage bags for travel keep spillable liquids separate from clothes. 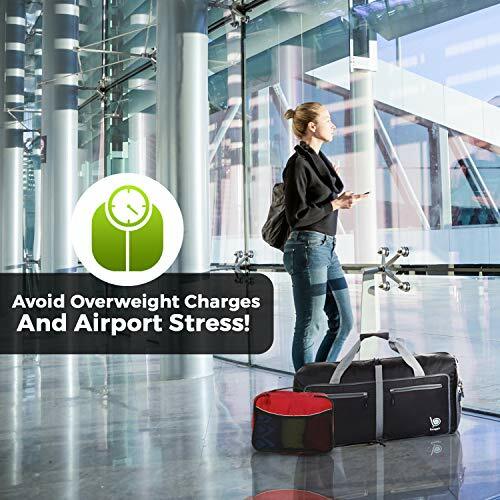 AVOID OVERWEIGHT CHARGES AND AIRPORT STRESS; rearrange weights between bags or take 1 lightweight cube with you as a carry-on item. Airport Security checks are easier and less intrusive than ever. 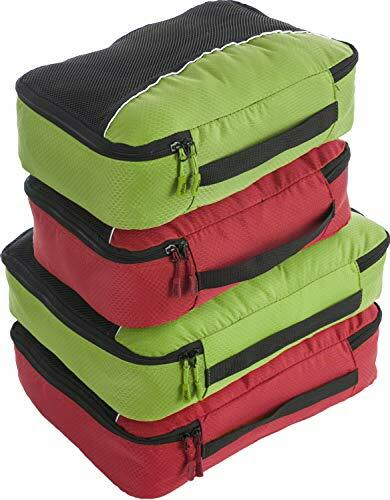 These luggage cubes are a perfect travel organizer option and work as packing cubes for carryon bags. 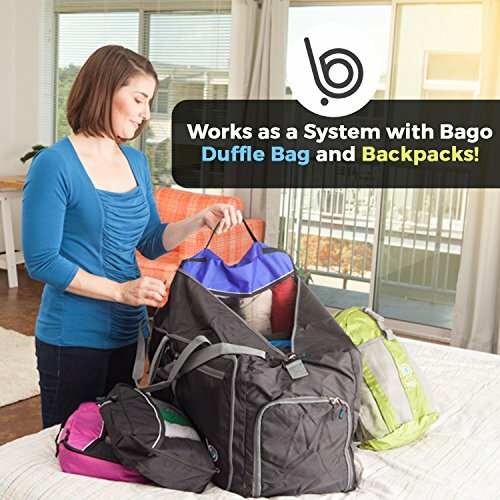 QuirkyBags.co.uk is a participant in the Amazon Services LLC Associates Program, an affiliate advertising program designed to provide a means for sites to earn advertising fees by advertising and linking to Amazon.co.uk.